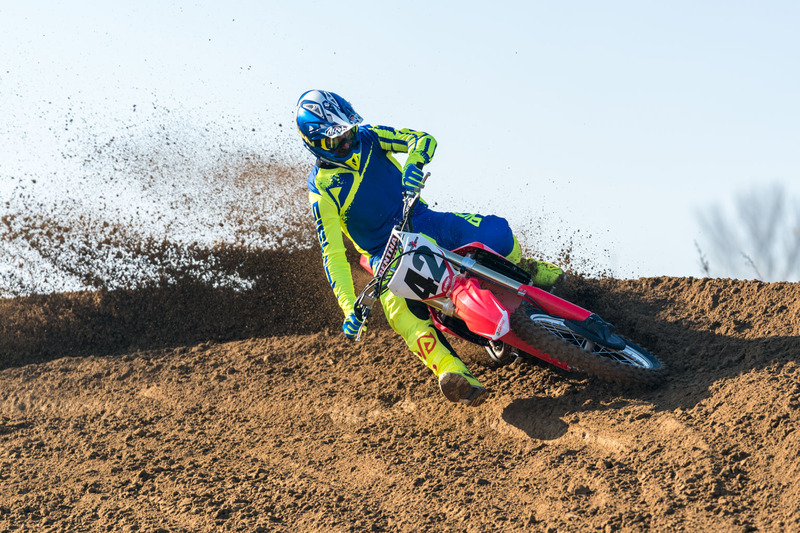 With the all-new 2017 CRF450, Honda hit the ground running and the new model sold well world wide. This very popular bike has just got better. 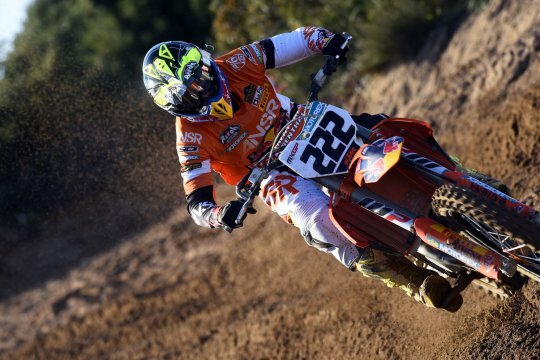 The new changes for 2018 any seem relatively small yet they’ve changed the bike a lot. 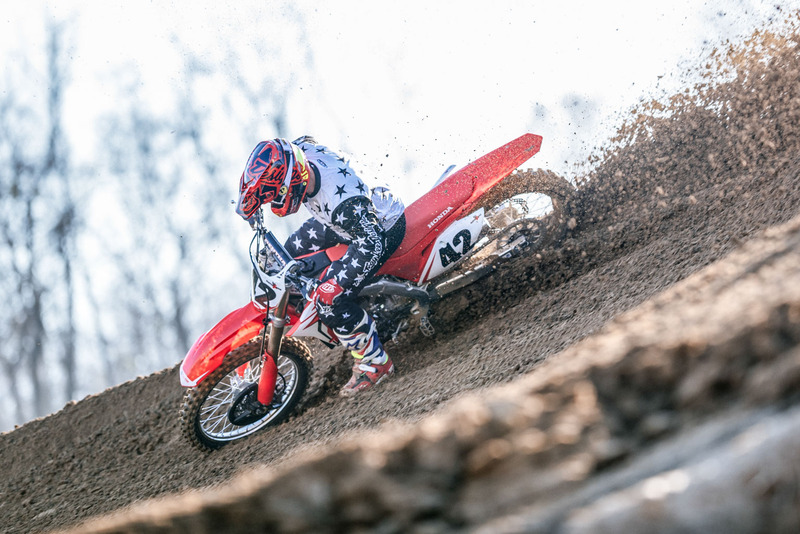 The CRF450 received a totally new chassis last year but some riders thought it was a little rigid and the suspension a little soft – both of which have been addressed in 2018. 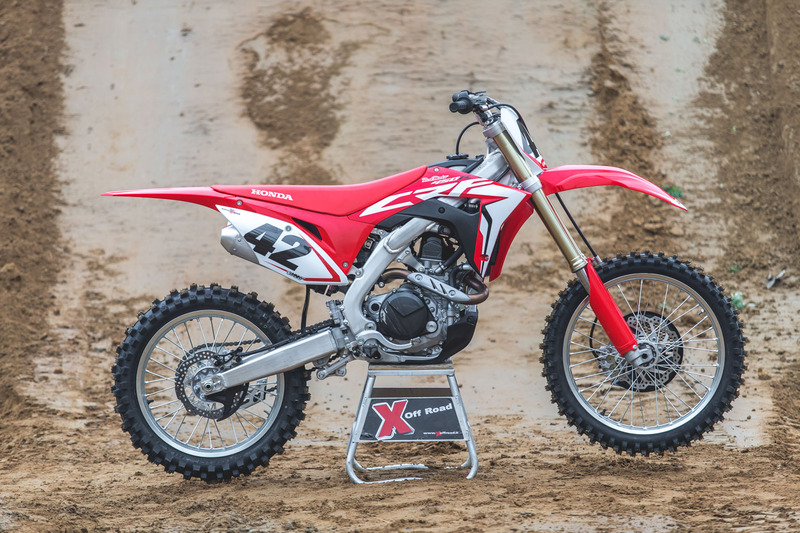 The 450 has revised suspension settings with stiffer springs and new engine mounts which allow the bike to flex a little more. The engine had been criticised in previous years for not being fast enough and wasn’t competitive out of the crate. All that changed last year as the 2017 bike was fast – with power 11% up on its previous model, And some found the 2017 bike a little aggressive, but the most welcomed it with open arms. Personally I loved the bike as it’s easier to make a fast bike more mellow than to make a slow one faster. 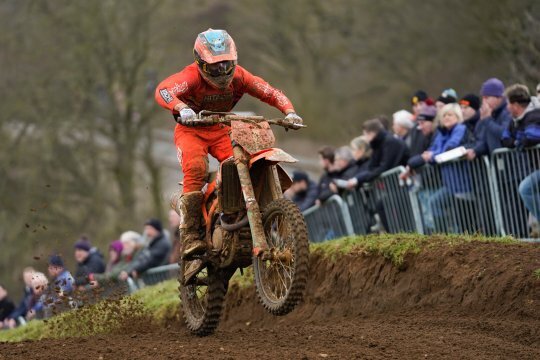 And nobody really wants to pay out £7k for a bike only to have to spend more money to make it competitive. The 2018 has new engine mapping for a better power curve and you can really notice the improvement as the drive is much better. You can roll the throttle on more through the turn which equals more speed both through and out of the turn. The bike handles like a dream and the straight line stability is good over the rollers. The bike still feels like it’s got the edge on its competitors in the manoeuvrability department, although at .almost 5kg heavier than the KTM it’s no lightweight. It’s also a couple of bhp less in the maximum power stakes but does have a very strong and torquey mid-range. On the dyno it’s has one of the smoothes power curves and the torque is what makes the bike so ridable. The bottom and mid-range excels and it’s got one of the longest power curves on the top end, showing it can hold the power too. Since the introduction of the electric start, weight has been added and the Honda is nearly one of the heaviest out there yet it doesn’t feel like that on track. I really like the Honda as you just feel connected to the bike. 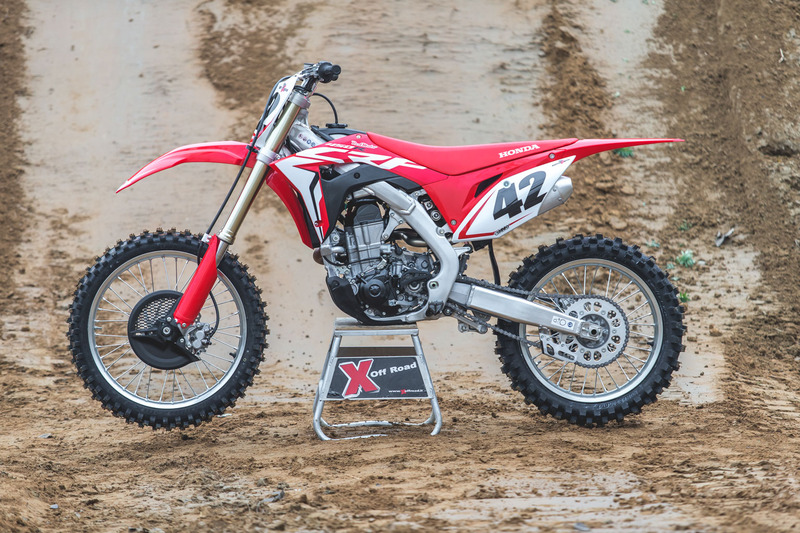 If you are thinking of purchasing a CRF450, you wouldn’t be disappointed as the bike has been refined. Again it will be a bike that pleases the masses as it’s an easy bike to run with no fuss. 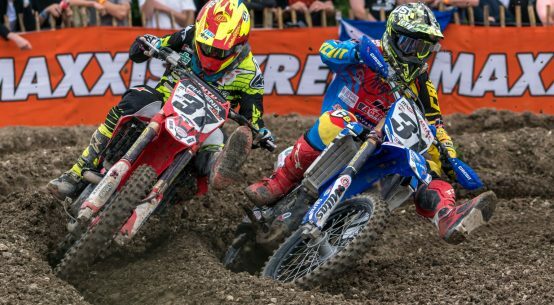 The final rut at Foxhill!